Home is where my heart is. I have lived in many places, and moved house many times. 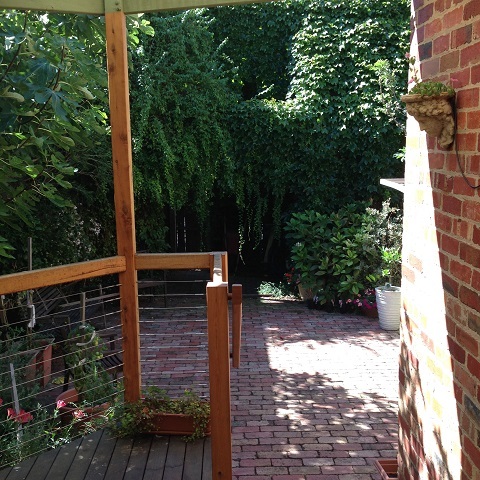 When I bought the house I live in now, the thing that sold me was a two-storey pergola in the backyard. At the time it was autumn, and the pergola was covered in red, yellow, orange and brown leaves of the creeper that covers the structure. The creeper – an ornamental grape, and was the thing I looked at from the kitchen. My thoughts at the time were that I could cook and look – at that – something that warmed my heart! Since then, my husband built a deck at the back of the house. At the end of warm days we like to sit on the deck at home, a glass of wine in hand and gaze at the creeper – which in summer is a mass of green.